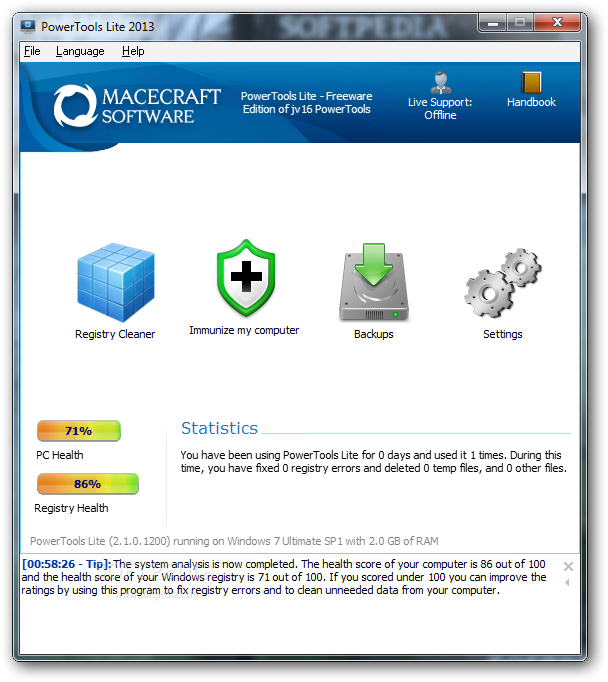 PowerTools Lite is a utility designed to be a two-click-solution for PC Cleaning and error fixing. The program will optimize your system and it will improve its performances. I installed it in my test machine with XP and works fine. Thank you for this I am sure that many will find it useful. I might give it a try. Last edited by leofelix; 20th May 2009 at 01:01.